The report, "Phenological advancement in arctic bird species: relative importance of snow melt and ecological factors," appears in the current on-line edition of the journal Polar Biology. Lead author Joe Liebezeit (formerly with WCS) and co-author Steve Zack of WCS have conducted research on Arctic birds and conservation issues in Alaska for more than a decade. Liebezeit now works for the Audubon Society of Portland. Other co-authors of the study include Kirsty Gurney of the University of Alaska Fairbanks, and Michael Budde and David Ward of the U.S. Geological Survey, Alaska Science Center. Snow melt was assessed in nesting plots at different intervals in the early spring. 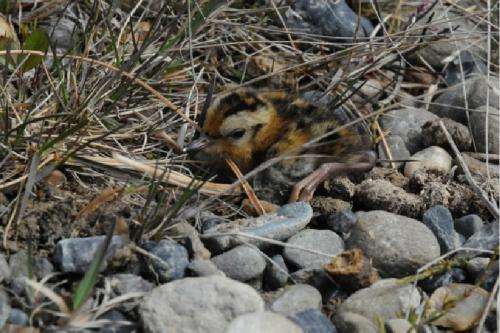 Other variables, like nest predator abundance (which is thought to affect timing of breeding), and satellite measures of "green-up"(the seasonal flush of new growth of vegetation) in the tundra were also assessed as potential drivers of the change in nest timing, but were found to be less important than snow melt. "It seems clear that the timing of the snow melt in Arctic Alaska is the most important mechanism driving the earlier and earlier breeding dates we observed in the Arctic," said Liebezeit. "The rates of advancement in earlier breeding are higher in Arctic birds than in other temperate bird species, and this accords with the fact that the Arctic climate is changing at twice the rate." WCS Coordinator of Bird Conservation Steve Zack said, "Migratory birds are nesting earlier in the changing Arctic, presumably to track the earlier springs and abundance of insect prey. Many of these birds winter in the tropics and might be compromising their complicated calendar of movements to accommodate this change. We're concerned that there will be a threshold where they will no longer be able to track the emergence of these earlier springs, which may impact breeding success or even population viability." WCS Beringia Program Coordinator Martin Robards said, "Everything is a moving target in the Arctic because of the changing climate. Studies like these are valuable in helping us understand how wildlife is responding to the dramatic changes in the Arctic ecosystem. 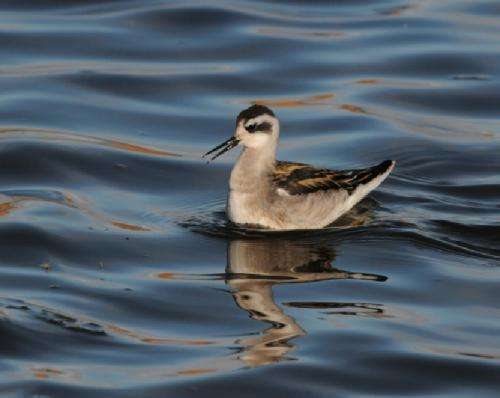 The Arctic is so dramatically shaped by ice, and it is impressive how these long-distance migrants are breeding in response to the changes in the timing of melting ice."